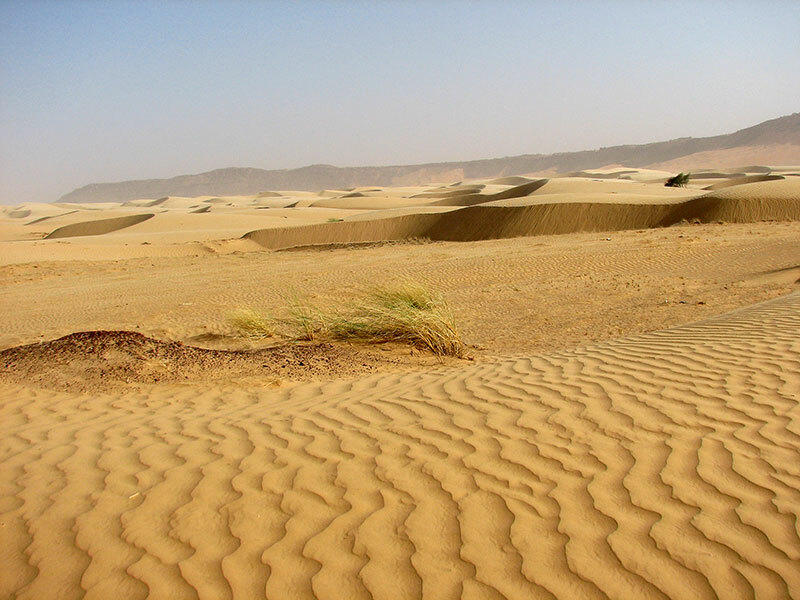 The environmental history of the Sahel (Arabic for 'the fringe') is marked by the advance of the Sahara (Arabic for 'desert'), on whose edge the Tagant Plateau lies. It is thus a vulnerable region inhabited by species in historical retreat. 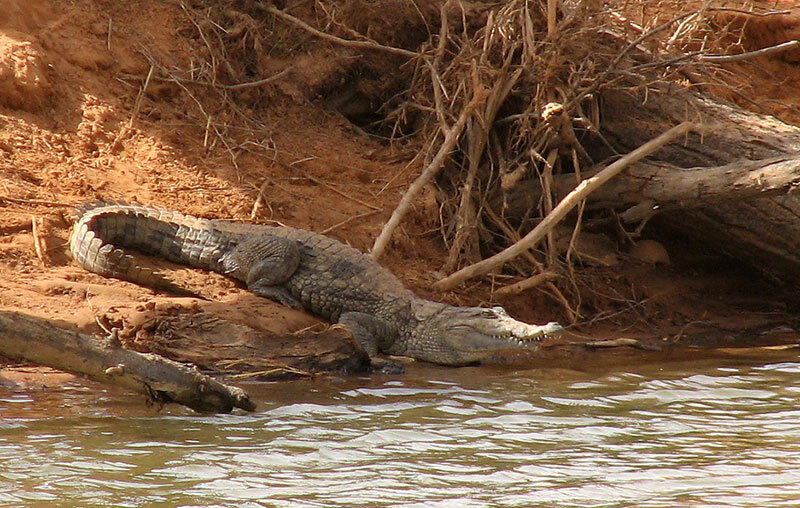 The famous desert crocodiles (Crocodylus niloticus suchus), are particularly noteworthy, a remnant of a population which once extended as far as the Mediterranean. 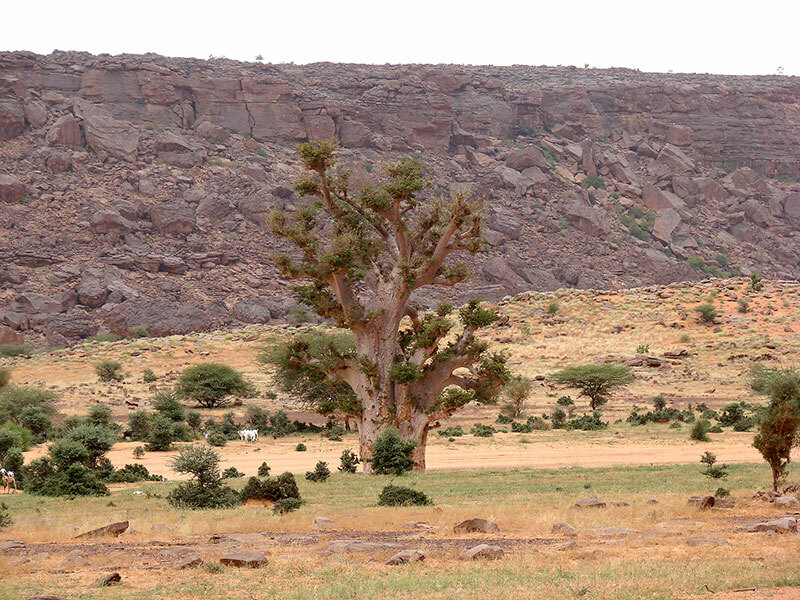 There are remaining fragments of savanna on the Tagant Plateau, where the surviving flora includes the remarkable baobab (Adansonia digitata), here at the northernmost limit of its African distribution. Here too there are surviving remnants of the communities of large mammals which so typify Africa, including some gazelles (Gazella dorcas, Gazella rufifrons�), warthogs (Phacochoerus africanus), primates (Papio papio, Erythrocebus patas�), hyenas (Hyaena hyaena), and jackals (Canis aureus, Canis adustus), among others. 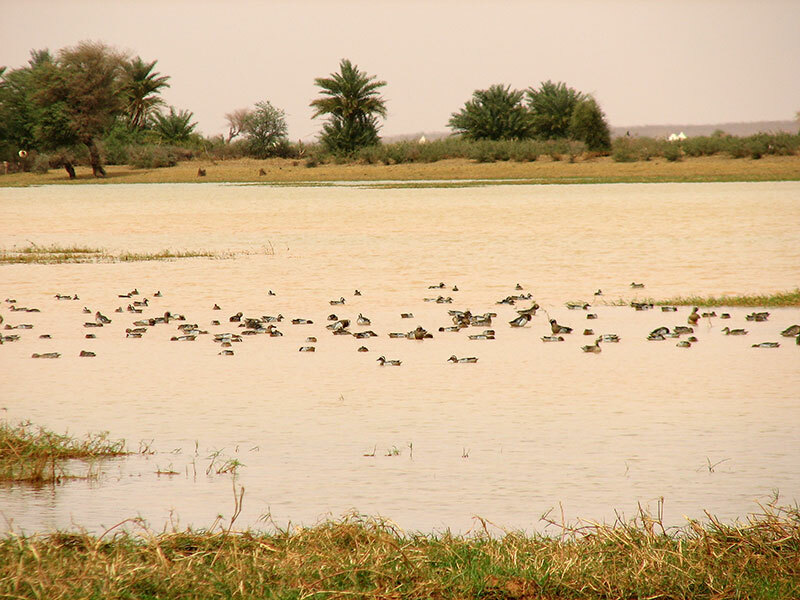 In addition, its lakes are a link in the chain of Sahelian wetlands in which multitudes of waterbirds of European origin including ducks, storks and waders, spend the winter. From September to February, the sight of these, alongside such landbirds as (wheatears, warblers, shrikes, bee-eaters, kites and many others which visit Europe in summer, is as widespread as it is spectacular. 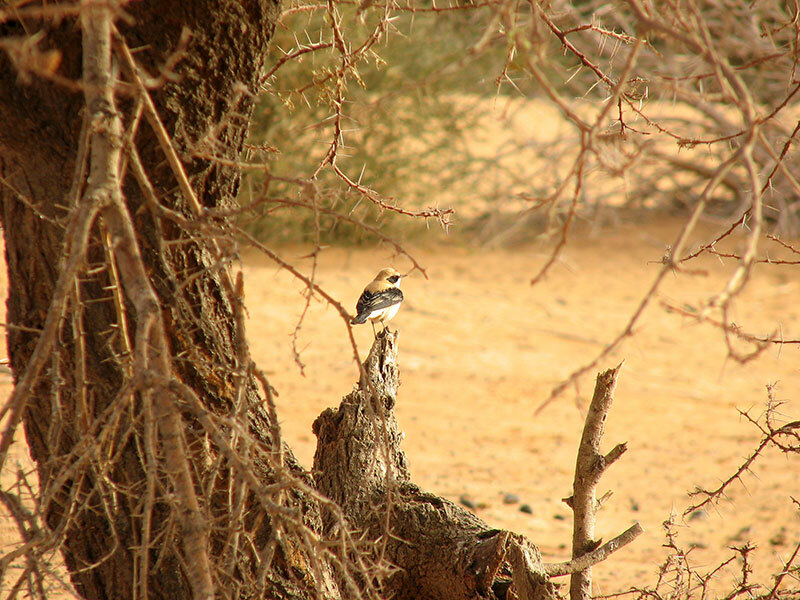 Lake Gabou and the chain of lakes between Marshla, N�Beika and Dekla (Tamourt Naaj) have been declared Important Bird Areas by BirdLife International. 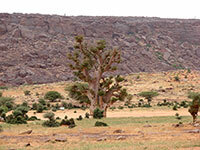 The catchment area of the Tagant Plateau and Lago Gabou have also been declared Ramsar sites.